Lil Wayne fights for freedom in the explosive video for his remix to O.T. Genasis’ smash off his mixtape Sorry 4 the Wait 2. 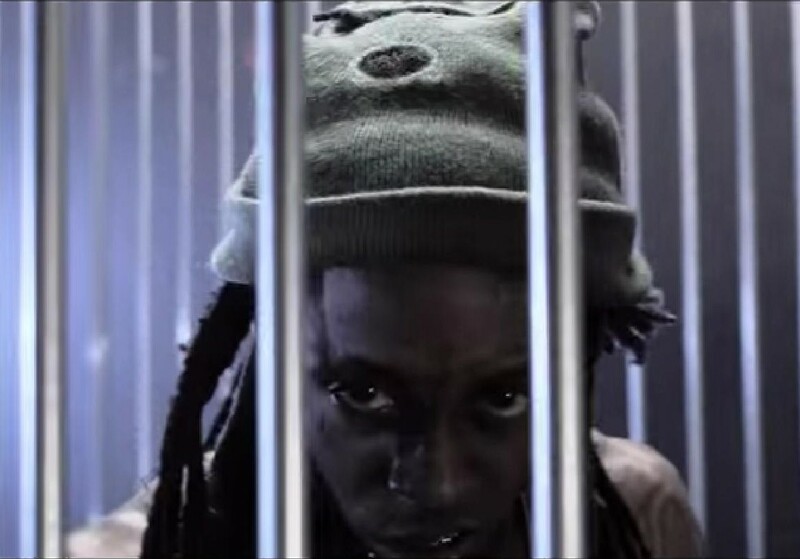 In the Eif Rivera-directed clip, the Young Money chief raps inside a cage, which is supposed to be symbolic of his current situation with Cash Money (Wayne is suing Birdman for $51 million). Wayne also throws in shots of Nicki Minaj and Drake to remind Birdman who he brought to the table. “F*** it, this that Sorry 4 The Wait 2, I ain’t trippin I got Barbie I got Drake too / I send my goons to kill somebody, I need head proof / Then they come through and sit it on my coffee table,” he spits. “Cash Money is an army, I’m a one-man army / And if them n**as comin’ for me, I’m goin’ out like Tony / Now I don’t want no problems, I just want my money,”. “All I got is Young Money, no more Cash, ni**a.” he spits. Rivera also cleverly throws in flashes of old movie clips, using extremely violent scenes to match Wayne’s threats. Between the song and the video, it’s apparent the New Orleans rhymer is coming for Cash Money — both legally and figuratively.